On mainstream media, culture, education, civics, politics, drug policy, social justice, water and community from the point of view of my lil’ ole location, Davenport, Florida. Initiating Brain Blast January 1, 2017! 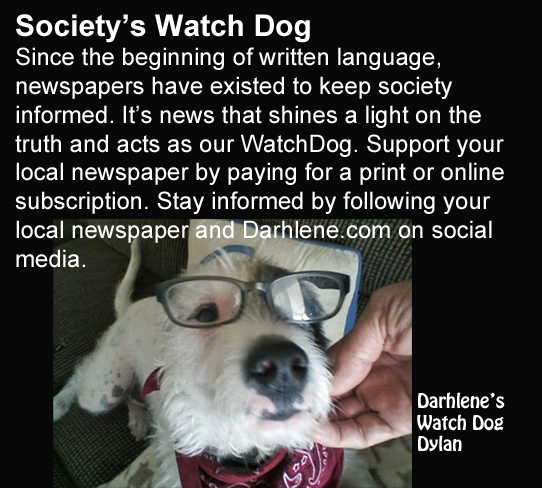 For eight years, Darhlene ran The Poinciana Crane,¹ starting as a public real estate blog then blossoming into a hyperlocal news outlet before closing in 2012. There was a lot happening that year, including yours truly running for a county seat while serving as vice president to civic group that later became the neighborhood power clique; helping found the Poinciana Economic Development Alliance, a.k.a., PEDA; and managing, in a nearly unpaid position, a private for-profit blog for Poinciana’s Solivita management; all before realizing that the real estate industry and an overloaded schedule was not made for people like me. I the one who passed Florida’s real estate exam on the first try in 2004, a feat not accomplished by most licensure candidates; I was also the one surrounded by industry sharks, I later found, people who’d slap their mother’s faces for a few thousand bucks (or less, who knows). I had thought my background that included decades of experience in economic development, government, and technology would naturally lend me to a successful career in real estate sales. It did not. I was more of a leader, an activist and a social critique than I was a salesman of any sort. My background did not include “truthful hyperbole,” con-man-ship, nor any enthusiasm for the cut-throat nature of that industry. In 2012, I left the industry, closed The Poinciana Crane, ended every one of my relationships with the toxic “elite” and liars in my life at that time, and I went into a period of self-evaluation and as well as something else I had not done before. For the first time in my life, I began to judge people, not just some but all people. I spent years judging the actions of the people I associated with during that period of time, four years to be exact. I wasn’t alone either; I got plenty of help from those who took my side, who supported me, and who helped me get to where I am today. After the 2016 election, I like many thinking Americans, were plagued with understandable fears. I placed a media black-out on myself to cope. The not knowing about my world, though, was not to last, and I ended up seeking the help of doctors when one day a physician’s assistant with the look of MSNBC’s Chris Hayes, asked me if I liked politics or if I just spent the extraordinary amounts of my time listening to and reading it. More than a month out from the election, I started peaking back at the news. I heard the most respected newscaster of my time, Rachel Maddow, say, “This is not a time to stop paying attention.” (12/7/2016) I heard Hillary Clinton say, “For the sake of our children and our families and our country, I ask you to stay engaged, stay engaged on every level.” (11/18/2016) Then I noticed that Randi Rhodes had not left the airwaves, and Keith Olbermann was back again. Even Cokie Roberts was once again making comments on the news. With all this intelligence vowing to remain as our force of resistance, I decided to let myself become a part of this new age in America and let this website start its course. Think Globally; Act Locally. That is what I intend to do with Darhlene.com. From this site, you will receive no-holds, accurate accounting of information, especially written for mature audiences. Then, to match wits with my Hispanic family and friends, I plan to relay legions of knowledge about our culture. Most of all, I’d like to foment an atmosphere of intelligent dialog within my community. Join me as I launch what should be the hottest site in Davenport, Florida. Write to me. Talk to me. Please follow me. ¹ The Poinciana Crane ran as a real estate news and commentary blog from 2004 to March 2012, ending with 159 followers. All images on Darhlene.com are either copyright-free images or are images created by either Darhlene Zeanwick or George D. Gordon, III. All images on this site by George D. Gordon, III, are used with his permission. Except for copyright-free images, all images and content on Darhlene.com are copyright of ©George D. Gordon, III, and/or ©Darhlene Zeanwick and may not be reproduced, copied, edited, published, transmitted or downloaded in any way. All rights are reserved. Copying, altering, displaying or redistribution of any of these images without written permission from George D. Gordon, III, and/or Darhlene Zeanwick is strictly prohibited. Go back to the doctors. The wool is covering your eyes, and your brain is delusional. OMG, you have entered the coveted position of Darhlene’s First Blog Troll. I must be doing something right. Thank you for making my day.